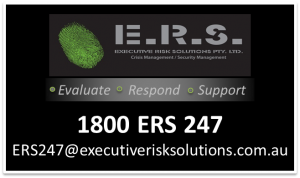 ERS 24/7 is an information, safety and security hotline that provides 24/7 support to our clients and their staff globally. Subscribing to ERS 24/7 will give you access to over 50 analysts and specialists. It will also allow you to be provided with information and intelligence for over 180 countries and 400 cities. 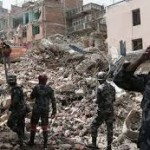 Our team are experts in safety and security matters and are leading analysts on local, national and regional matters. The ERS 24/7 crisis line speaks 18 languages and has a simultaneous translation service for over 100 more languages. Our crisis line protocols are designed to ensure we can assist no matter when and why we receive a call. The PSAT program ensure staff have the basic safety and security skills and a streetwise awareness. The skills and techniques we teach are relevant from South America to Cameroon. Where there is regular travel to destinations of increased risk our PSAT training provides specific threat and awareness briefings tailored to the conduct of your business. Many people travel with inadequate preparation. We mitigate the risk associated with unprepared travel by ensuring travellers have the latest information and alerts on their destinations before they travel. Monitoring your travel schedules, we make sure travellers are prepared and know who they can contact in case of emergency or if they simply need advice. We also capture lessons learned by travellers on return. ERS 24/7 provides a traveller tracking module that integrates with your travel management system.. We know where all of your travellers are and can account for them back to you. Our aligned intelligence system pushes information to travellers that are relevant to their travel path and location. We will ensure you receive timely information pertinent to your own situation.